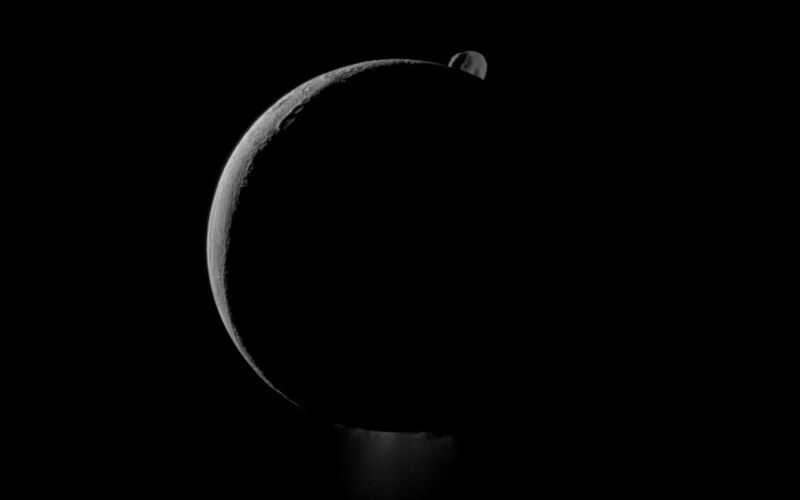 During a flyby of Saturn's moon Enceladus on Oct. 1, 2011, the Cassini spacecraft snapped this portrait of the moon joined by its sibling Epimetheus and the planet's rings. 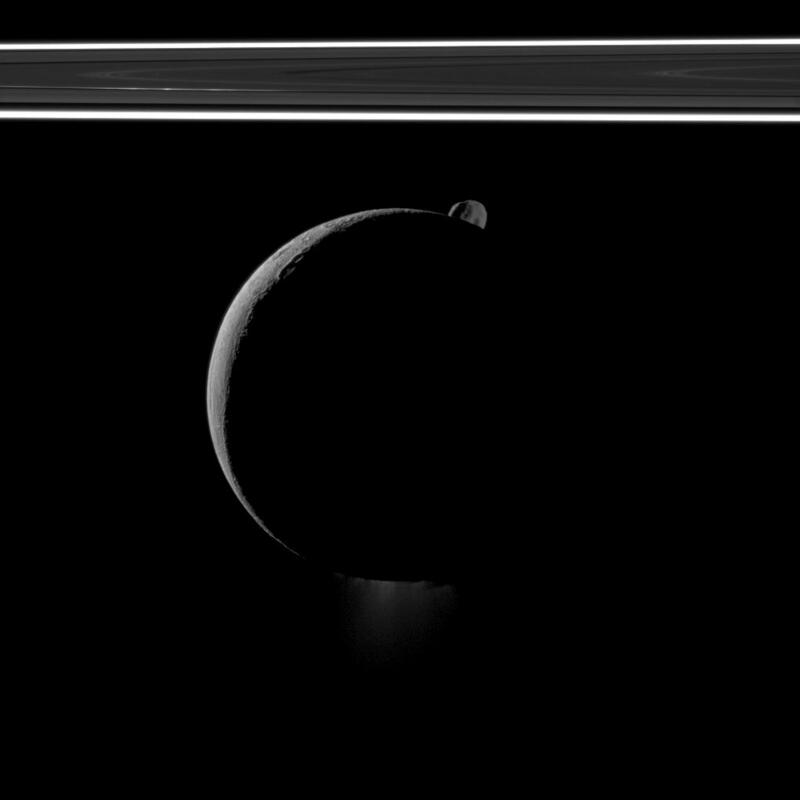 Enceladus (313 miles, or 504 kilometers across) takes up the center of the image, and its famous south polar jets can faintly be seen at the bottom of the image. See PIA11688 to learn more about those jets. 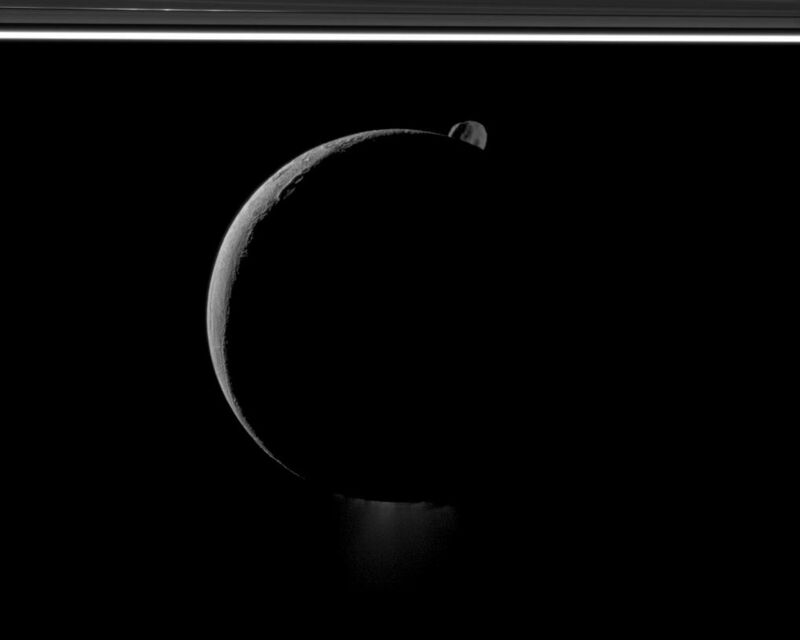 Epimetheus (70 miles, or 113 kilometers across) peeps into view from beyond the northern reaches of Enceladus. Lit terrain seen on Enceladus is in the area between the leading hemisphere and anti-Saturn side of the moon. North is up. This view looks toward the northern, sunlit side of the rings from just above the ringplane. 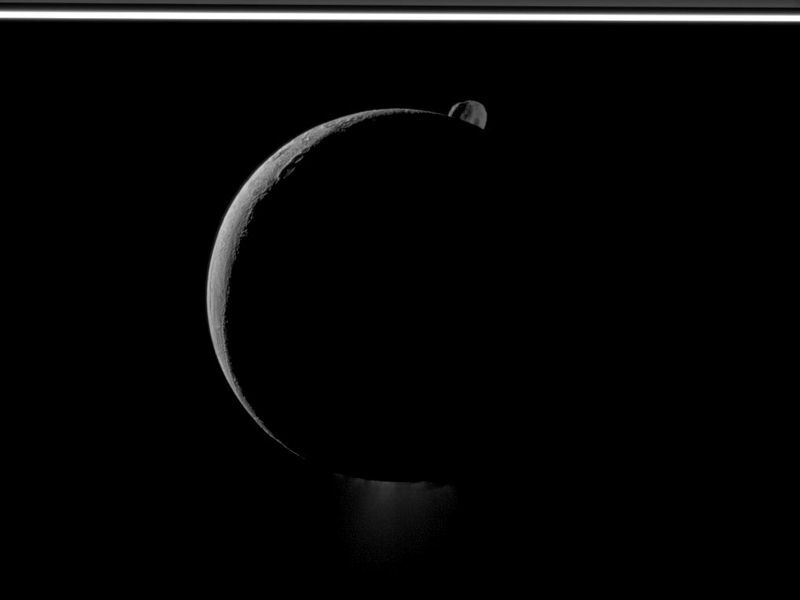 Enceladus and Epimetheus have been contrast enhanced and brightened by a factor 1.8 relative to the rings. Enceladus is closest to the spacecraft here. The image was taken in visible light with the Cassini spacecraft narrow-angle camera. The view was obtained at a distance of approximately 175,000 kilometers (109,000 miles) from Enceladus and at a Sun-Enceladus-spacecraft, or phase, angle of 151 degrees. Image scale is about 3,280 feet (1 kilometer) per pixel on Enceladus.